Every artist creates their music with sound, right? Wrong. Unlike most artists out there, Luxley has his own unique way of expressing his music, which is in fact through color. For as long as he has been composing, producer Ryan Gray (Luxley) has been writing his music in a way many of us will never known. Gray had been diagnosed with “Chromasthesia” – a condition that involves subconsciously and uncontrollably associating sound with color – which worked out in his favour since he’s been able to harness the condition as a main source of creative inspiration. Luxley’s new EP “Chromatics” exemplifies this magnificently. The production Luxley has created in “Chromatics” matches and if anything surpasses top major artist releases through its unique elements and compelling sound design that is sure to leave listeners in awe. The perfect way to open an EP — “No.4” gets you hooked on dreamy pop vibes as Luxley sets the tone for what is to come, creating textual intrigue through splattered bass hits and hypnotic, bright melodies that will stay in your head long after you finish your journey through “Chromatics”. As if you’re in a glimmer of bright colours flying around you in every direction, “Shine” really takes the energy to a whole new level. Emotions are brought to the surface as Luxley introduces fun melodies and an edgy dance vibe in an overall glimmering, contemplative atmosphere. In “Near Me” Luxley directs listeners ears towards catchy, up-tempo melodies and glitch-hop, retro synths in a lively throwback and by the fourth track “Attiki”, we’re roped in and loving it. 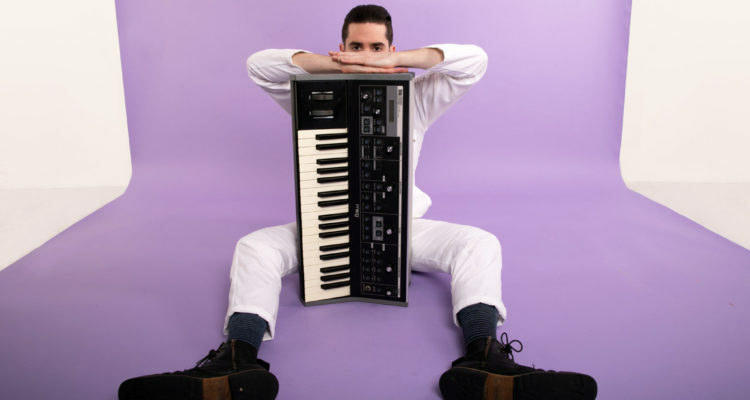 Luxley’s production skills are showcased once again through vintage-style effects such as vinyl scratches and white noise that blends traces of Lo-Fi with jazzy Chill-Pop. In “Take A Chance” we feel a rise in energy as a cacophonous synth-pluck arpeggio becomes a center of focus that collides with groovy rhythms and angelic, airy vocals over Dance House elements. With the track lasting over 5 minutes, Luxley sustains interest through continuously evolving textual and melodic variety. Finally, the last track “Dreamcatcher” captures the essence of “Chromatics”, concluding the EP with a final bang. Moving from sparse and trance-like to outright funky, “Dreamcatcher” will have audiences floating above the dance floor. Luxley’s dreamy EP “Chromatics” offers us a glimpse into the vibrant world of Chromasthesia. With his uniquely colorful perspective, we can only imagine how extraordinary these tracks could feel in a live concert setting.